As the largest city in Britain, London is one of the most exciting places in the world. With a diverse population that includes cultures from all corners of the globe, London has something for everyone. 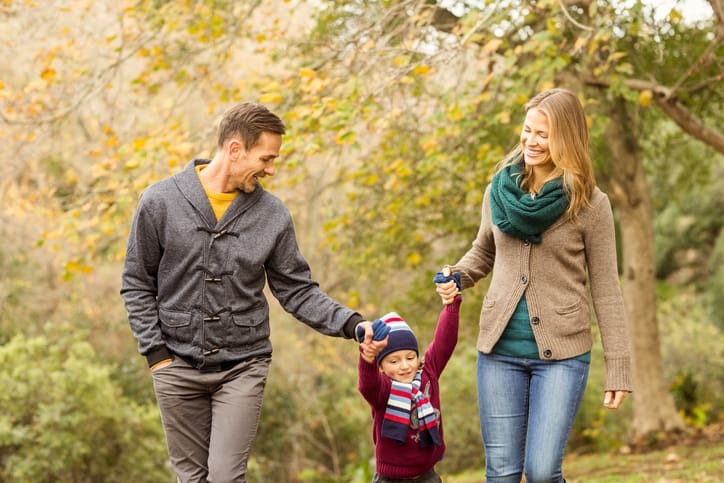 Whether you want to live in the bustling heart of the city or find your home in one of the quaint suburbs, London is an incredible setting for you to raise your family. But before you start packing your bags and pulling up stakes, there are some things you should know beforehand that will make moving your family to London much easier. As excited, anxious and possibly worried as the move may make you, your child will experience those same emotions even more intensely. To help them cope and more easily adjust, you may want to visit the neighborhood you plan on moving to (as well as the surrounding area) so they can develop at least some familiarity with it. You’ll also want to gather all your child’s medical records in order to show they have had the necessary vaccinations to be admitted into the UK. How Much Does It Cost to Rent a Family Friendly Flat in London? Many moving to London with family will choose to rent an apartment. For others, buying might be their preference. In either case, it’s important to research each potential borough before making a decision. Rent prices in London have been increasing over the last seven years. Some reports show a 25% increase over that time period. The average cost for an apartment in the capital is now approximately £1,500 a month. This increase is in stark contrast when compared to income growth, which has risen only 9% during the same period. Families will feel the effects of this trend, and it’s a good idea to keep in mind that the British pound averages around $1.50 American dollars. Two-bedroom apartments in some of the most charming and desirable neighborhoods in London like Notting Hill average about £2,492 per month, and other areas like the borough of Sutton in South London have seen rents nearly double to average around £1,200 per month. While property south of the Thames is traditionally lower, even two-bedrooms in the trendy south-west of London at Clapham are going for £2,058 per month. The average salary for someone living in London is about $44,980 (source:cityam.com). It is important to take into consideration your tax bracket when considering the level of rent you are prepared to pay as costs can vary significantly depending on the London borough you choose to live in. Transportation plays a big role as well. Depending on what section of London you choose to live and work in, public transportation options will help you save money. Living close to the city might even mean that you don’t need a car. London has an extensive public transport network including buses, trams, light rail, underground train services, and even boats on the River Thames. www.tfl.gov.uk is the official website for all public transportation in London, and here you can discover everything you need to know about using public transportation. Childcare in London will vary greatly depending on your priorities and the age of your child. 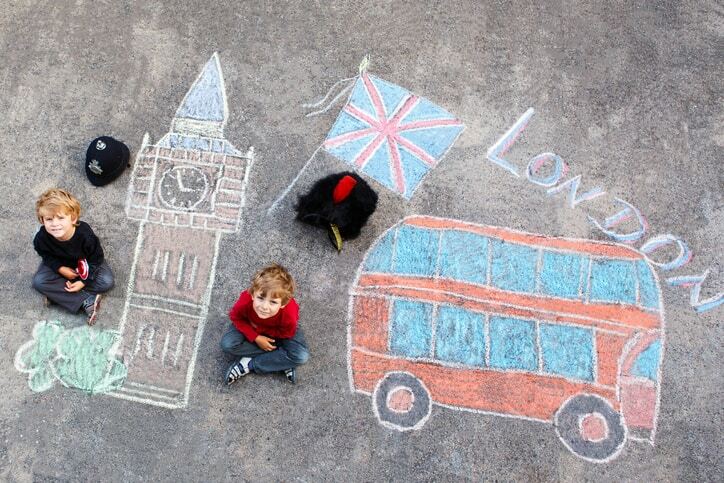 Most expats moving to the UK will not have extended family to depend on when looking for support. Thus, you will be seeking with daycare, babysitters an au pair, or a nanny. Private full-time nurseries cost around £1300 per month, and affordable babysitters will charge around the same rate for full-time service. A professional nanny will likely cost a little more. The government offers daycare for children starting at the age of three but they only provide services for half the day, thus a babysitter will be needed as well. Some families with extra space chose the option of using an au pair. In this case, they are generally paid a stipend in the neighborhood of between £100 to £150 and will receive room and board and basic expenses like food and a Tube pass. This is an exciting time in your life. Perhaps the prospect of a new job has arisen, or a chance to be closer to immediate relatives. Maybe you’ve even received an opportunity to broaden your professional horizons. Regardless of the reason, you are seriously considering a move to London with family. The city of nearly nine million inhabitants has all kinds of different neighborhoods and suburbs for you to relocate to, but we will map out some of the most desirable places to live in London for families here so that you can make an informed decision about relocating. “The Swinging City” as London is sometimes called, is the nickname given to the city of London due to its fashion and cultural scene and the important role it played in the cultural revolution of the mid-1960s. This is particularly evident if you move to London from a foreign country. Some neighborhoods and suburbs can vary in dialect and traditions and the housing varies in price greatly from neighborhood to neighborhood. As a newcomer, you need to investigate which areas of the city have the features that truly matters to you like schools, play spaces, parks, transportation, restaurants and other factors that will create a suitable and enjoyable environment for you and your family. The River Thames creates a geographic divide between the two parts of the city, but in terms of identity and representation, the two sections it creates could not be more different. North and South London both claim to be the better place to live, and they have been doing so for decades. The truth is that both sections, like anywhere else, have their pros and cons. The metropolis is vastly populated, and like any other major city has sections that are extremely susceptible to crime. Ensuring the safety of your family and yourself can mean carefully studying crime statistics. You might also take the time to speak with residents of the area – they’ll often tell you more than any document can. Both South and North London have done their best to eliminate crime in their communities, but it has been reported that over the last five years South London has seen more drops in crime rates than its partner to the North. As we dive into moving to London with a family, it is essential that you remember that London —particularly in the last ten years — has become massively diverse and can look and feel completely different from one area to the next. From Hampstead to the heart of the metropolis in Wembley, there can be significant differences. Research the area and find the one that will be most suitable for you and your family. For the foodie, there is no better place to live than South London. It’s packed with diverse restaurants that can be found in places like Brixton. From authentic Indian to Venezuelan food, there are lots of options to choose from in places like Borough Market. The nightlife and pubs are best found in North London. It has plenty of interesting bars and entertainment is some of the best in the city. This one is a tough choice but it all depends on what you are after. Families are generally looking for nice market outings on the weekends and thus we recommend the South. What Are Some of the Most Family Friendly Areas of London? Ultimately this guide is all about family and how you can make the best of your move to London with them. The following areas have long been some of the most family-friendly places to live in the city. Take note of the wonderful schools, shopping places, and recreational areas that can make all the difference. 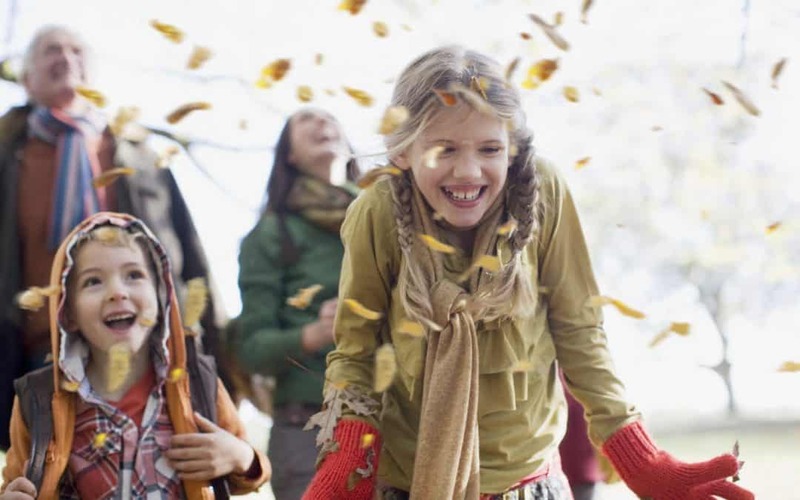 Sutton is both affordable and desirable for families given its vast green spaces. It also charts very low on the crime scale. The train ride from Sutton to the heart of London is only about thirty minutes and the schools are some of the best in the city. Pricing has remained steady for the last few years, but as more people flock to Sutton, expect that to change soon. Sutton is fast becoming one of the most family friendly areas of London. Brixton is one of the most affordable places to live in North London and is full of new and old families who are proud to call the neighborhood home. This can be great for individuals who are coming from overseas and need to make new friends. There are a few parks in the area that are well kept, too, where your children can play and meet new pals. There is something for everyone here, so it is no wonder that so many families make a comfortable nest in Brixton. Hampstead is a very trendy area that just keeps growing and improving. The schools are fantastic, the crime is low, and for families on a tight budget, even more, affordable places can be found in West Hampstead. Let’s not forget beautiful areas like Regent’s Park for the little ones, too. It’s an outdoor living space that is well-maintained and accommodates all kinds of family activities during the spring and summer months. Perhaps one of London’s most coveted areas to live in, Richmond, features some of the best family-friendly restaurants in the city. It’s near the River Thames, is home to the beautiful Richmond Park and is one of the safest places to live in the London area. Transportation is readily available and can take you to the center of the city quickly, and there are many private schools in the area. The best place for your family in the city is entirely dependent on your needs, but we’ve found a few places that are truly up and coming. They seem to appeal to families new to London due to their excellent location, pricing, markets, parks, and schools. Barnet is perhaps a little pricier than other areas in the city, but the investment can pay off in the long run. From preschool to college this area meets all the education requirements you could think of. It’s also not short on thriving shopping areas with trendy restaurants, sporting centers, and transportation leading into the center of the city in as little as twenty-four minutes. Barnet offers you upscale living in one of London’s most coveted areas. If you need to be as close to the center of the city as possible, Dulwich may be the perfect location for you. The trains run regularly and can get you there in as little as fifteen minutes. Dulwich has fantastic private and public schools, large parks, many quality grocery stores, and an outstandingly low crime rate. This is right outside all of the main action of the city, too, which can be great for young families looking for a comfortable and safe place to live while still enjoying the city’s hustle and bustle. If you want the very best of both worlds, this is a place that should be high on your list. This borough has been voted more than once as the safest in all inner London. Aside from its low crime, Wandsworth has fantastic recreational areas for the summer, many shops for you to enjoy, good schools, and a smooth commute spanning roughly fifteen minutes from home to the heart of the city. Wandsworth puts you and your family in one of the best areas of the town and right in the middle of everything that makes London exciting. 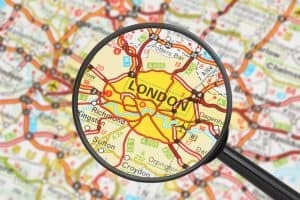 If you’ve started investigating living in London, or have been investigating for some time, you know just how difficult it can be to find the perfect home. London Relocation has services for families planning a move to London that will take care of all the details of finding a wide selection of your perfect flats and setting up ONE day of viewing. After you choose your perfect new home, we negotiate the lease and assist you to get moved and settled in. Call London Relocation now to get started at 800-903-1658 from the United States or from the UK +44 20 7993 0422. Our service is 100% guaranteed to find your ideal flat in one day!